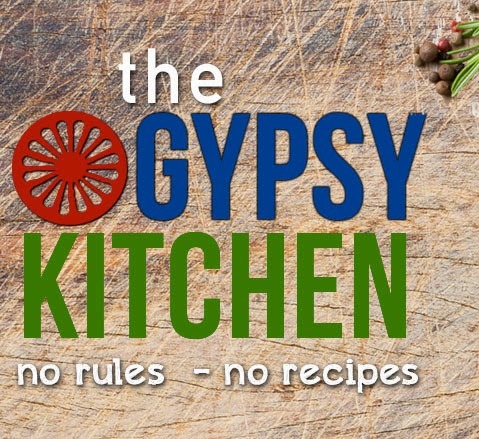 Sinti mother and daughter Sita and Daniela have created the first Sinti cooking channel THE GYPSY KITCHEN! Sita and Dani are Sinti who have traveled the world. They will be cooking not only their own family recipes with German influences, but recipes from Romani in every country, tracing the route of their migration from India all the way to the US. "You can learn so much about people through their food. We decided that a good way to teach people the true origin and culture of Romani, was through our kitchen because good food is universal." Sita Bamberger from Heidelberg Germany, is the niece of Romani Rose, a Romany activist and head of the Central Council of German Sinti and Roma. She is also the neice of famous Romani boxer and activist Jakob Bamberger. Her parents were survivors of the holocaust. Sita and Dani have carried on as activists for Sinti causes. Dani set precedence becoming the first Gypsy to receive a college scholarship as a recognized minority due to the work of Ian Hancock who traced Romani routes to India, allowing Gypsy students to choose Indian as their ethnicity. "The kitchen is the heart of our home. Cooking is our passion. By welcoming you into our kitchen we hope you will better understand our culture and begin to see that most of what you have known about our people has been a total lie." said Dani. "The term Gypsy as considered discriminatory by most Romani. We are a guarded culture. This act has deprived the world of our rich culture and history, and made us the unfair target of discrimination and misconception. Right now we are telling people Gypsy is racist and not to call us that, then go after them for using the word in their business or to describe something. It is confusing people. And now with the internet, there is a lack of factual information. Even worse is people profiting off the fantasy. Sadly most of the people who have books out, shows, fashion lines, they are all gadje (outsiders). My mom was very against using the term Gypsy because of the racial violence my family has survived. This violence is alive and well in many countries largely due to harmful stereotypes. THIS IS why education is more important than ever. And the internet gives us a very unique opportunity to do this. Educated Sinti need to use the same means of communication putting out the bad information. This is the Search engines. We have to replace the bad with good. But if I say Sinti or Roma, people don't know what that is. That is how much work we still have to do. Those looking for information search "Gypsy" and what are they finding is reality shows, spell books and gadje selling things. Our goal is to make a presence, establish ourselves in this new online world and get people to listen. Only then can we start getting them to understand everything they have known about us as been a lie, to finally see us as people and not as a way of life." This is a terrific idea. We need more like you representing us. Well done. Looking forward fo seeing more.